Our Philips Lighting Partner Program gives our Clients access to Philips worldwide network of industry professionals who can provide specialised expertise, local support and a cost-effective solution to fit our Clients lighting needs, whether you are looking for a us as supplier of the latest innovated lighting solution or whether you would like a full turnkey solution with complete end-to-end assistance. 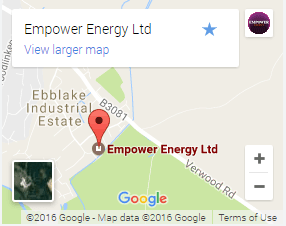 Empower offer a single point of contact to advise and work with you to find the best possible solution available. Using trusted Philips products, Empower will install and integrate technologies to offer a customised, seamless solution. Once the project is complete, Empower Energy will also provide you with ongoing support, so you can rest assured that you are getting a premium solution with project partners you can trust. The Powerwall 2 is a home battery storage system that turns your home’s solar panels into an all-day resource – increasing self-consumption of solar – while also offering backup in the event of an outage. The Powerwall 2enables more of your home’s electricity use to come from solar, which enhances solar functionality, and reduces energy costs. 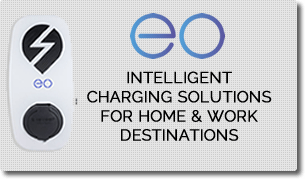 EO Charging units are designed and manufactured in the UK. 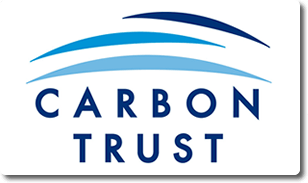 They build smart energy technologies. Empower have experience installing residential, commercial and public sector EV charge points. We can discuss your requirements and quote for the full installation of your charger. LUCTRA® is the first biologically effective LED lamp system for the workplace which makes this knowledge available for use by everyone. All human beings have their own personal biorhythms. The more closely our daily routine follows this rhythm, the better we feel and the better we perform. Daylight is the signal generator which synchronises our inner rhythm with the natural course of the day. Leviton is a world leader in diversified electrical technologies and the largest privately owned manufacturer of electrical wiring equipment in North America. Leviton products help customers create sustainable and intelligent environments through their electrical wiring devices, network and data centre connectivity solutions, lighting energy management systems, and security and automation applications. Operating in over 80 countries and with a portfolio of more than 25,000 products, Leviton are at the forefront of global developments in building technology and are uniquely positioned to support JCC in developing cutting edge LED innovation. Leviton acquired JCC in 2013 to enhance JCC’s position as the UK market leader in LED lighting and strengthen our shared vision to ensure accessibility to the benefits of the latest LED technology. Myenergi is an award-winning British designer and manufacturer of renewable products that increase the self-consumption of green energy. Home of the Zappi, an Electric Vehicle charge point that has an array of features & flexibility. The first on the market to maximise your home/businesses micro-generation of Solar or Wind.